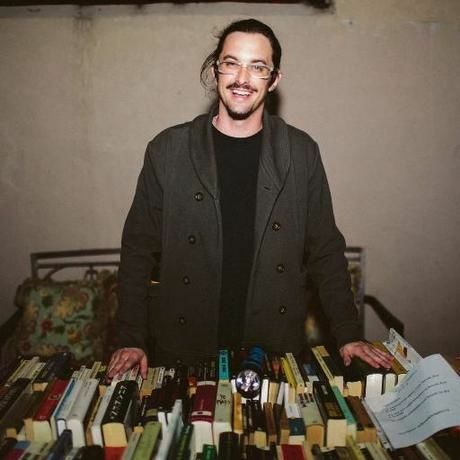 Nathaniel Sandler is a writer and the founding director of Bookleggers Library serving up Miami with free books on a monthly basis at literary events throughout the city. Born and raised in Miami, he attended Vassar College where he received a degree in Asian Studies and learned how to grow out his hair. Afterwards he spent two years living in Japan, teaching English and eating half dead sea creatures for the amusement of the locals. When he returned he got a job in the corporate world importing products from China, since his most marketable skills were jet lag and not being too nervous in Asia. His writing has an emphasis on the natural world, South Florida history and museum objects, and can be found via the Patricia and Phillip Frost Museum of Science, Vizcaya Museum and Gardens, the University of Miami Special Collections Library, The New Tropic, and the Miami Rail. He is most happy talking about swamp monsters and finding holes in low stakes arguments.